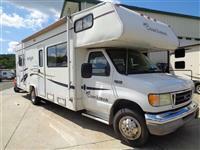 Trailers, Campers & Rv Inventory - Berks Mont Camping Center, Inc.
Below you will find all our current inventory. Narrow your search using the options on the left hand side - sort by condition (new/used), price, class, year, make or even sleeping! Be sure to check back often as our inventory is constantly changing. We'll contact you when something becomes available.